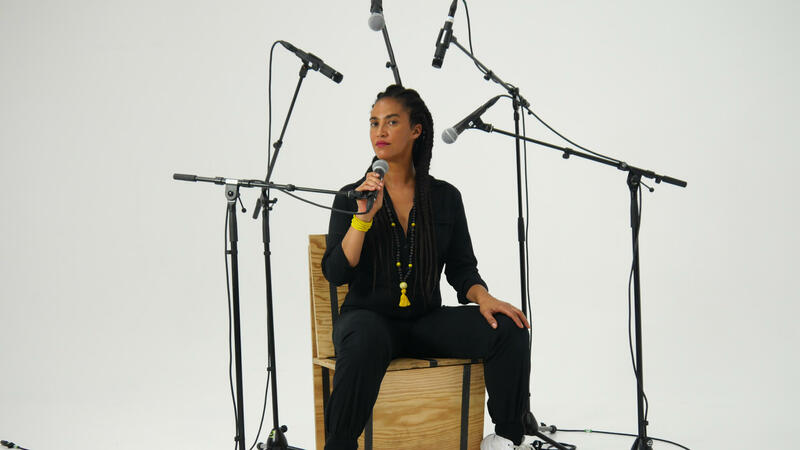 Playing with the illusion of a two-layered scenario, Grada Kilomba created a silent film in which the characters move inside a white space while the artist, outside, gives voice to the images and becomes a contemporary 'Griot', complete with post-colonial urgency. "Sometimes, I feel that I live a space of timelessness," the artist narrates, "in a space where past and present seem to coincide." 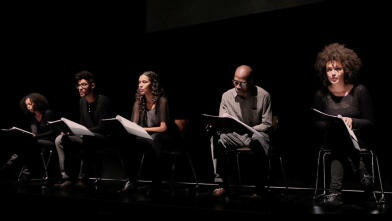 To explore this coexistence of times, in which the colonial past seems to interrupt the present and the present is sometimes experienced as if we were in the past, Kilomba restages the myth of Echo and Narcissus using the African oral tradition of storytelling. Narcissus becomes a metaphor for a society which has not resolved its colonial history, taking itself and its own image as the only objects of love. How do we break out of this colonial, patriarchal mould? 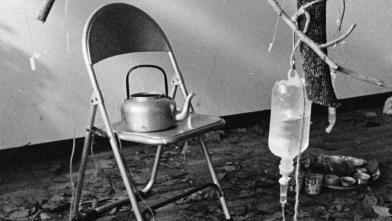 Thai noise musician Thom AJ Madson confines himself in a room for an experiment to give a plumeria tree a sound. He alternates between creating sound experiments and the meditative rhythms of his daily spiritual routine. 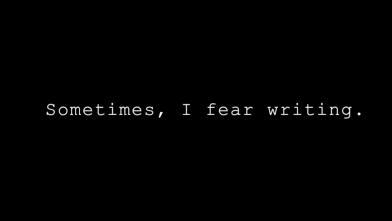 With the written word as the only visual element, Grada Kilomba gives a voice to an individual who has been historically silenced by colonial narratives. An exploration of everyday racism reveals how much this places the black subject in a colonial setting where s/he once again is reduced to the subordinate, exotic 'Other'. 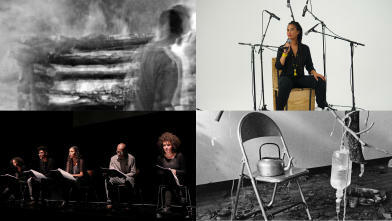 Major voices from the art world advance new projects by emerging artists. Discover newly commissioned works by Pathompon Mont Tesprateep and Grada Kilomba,supported with an IFFR grant. Zaal Staal in Postillion Convention Centre WTC Rotterdam is transformed into a film environment and temporary hotel. Whether you visit by day or stay overnight, you are actively encouraged to sleep. 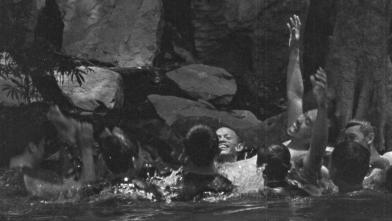 A unique, one-off project by the multi-talented Apichatpong Weerasethakul. 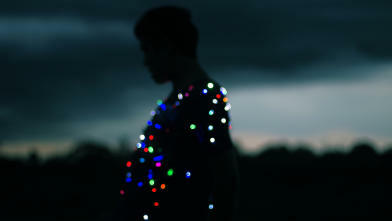 Apichatpong Weerasethakul speaks to us through memories, flashes and fantasies, conjuring up energetic entities and showing us how they permeate the fabric of collective consciousness over many generations in his native Thailand. 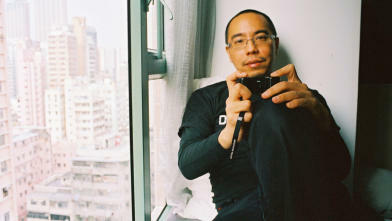 In this interview, moderated by Chris Dercon, Weerasethakul will talk to us about the unique approach to his craft.